Finally, an affordable manikin that you dont have to clean! 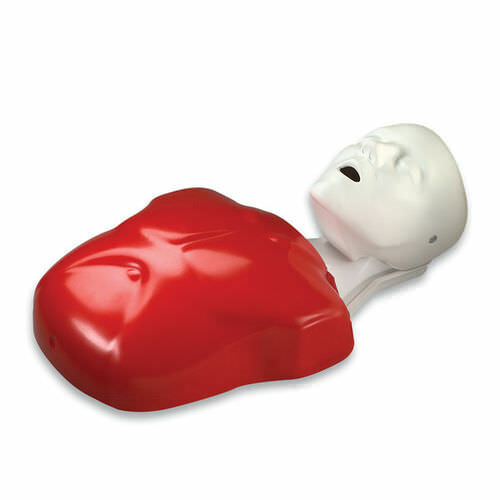 The Basic Buddy™ CPR Manikin is a dramatic, inexpensive, and state-of-the-art manikin designed for teaching individuals or large groups the life-saving techniques of CPR. This manikin offers a realistic and affordable way to provide each student with their own CPR manikin. The one-piece, disposable lung/mouth protection system makes this manikin completely sanitary – there is no risk of cross contamination and no need to sanitize the manikins after use! The airway opens using the head tilt/chin lift method, and there is a visible chest rise when ventilated. The xiphoid process provides an anatomical reference point for hand placement and compressions. The manikin also features both adult and child capabilities. Simple to assemble and provides trouble-free maintenance. Three-year warranty. Consists of one manikin, 10 lung/mouth protection bags, one insertion tool, and an instruction manual. Note: When using foam-bodied manikins for AED training, use only pads designed for foam bodies.